Are stress, anxiety, and lack of sleep having a negative impact on your life? Check out our mental wellness programs! We’ll show you stress management and relaxation techniques, teach you health sleep strategies, and demonstrate that it’s possible to bounce back from failures and thrive. Are you sleepy all day but then can’t shut your brain off at night? Time to start catching those Zzzzs at night and turning them into As in the classroom! Our online program provides students with practical tips and strategies to calm the mind for a better night’s sleep. More mindful. Less stressed. Better sleep. Less self-judgement. Mindfulness & Meditation is a 4-week workshop where you will cultivate mindfulness and meditation skills. Through learning how to be more mindful, you may experience less stress, better sleep and less self-judgment. Beyond simply decreasing your stress, this course offers approaches and skills to help you find more satisfaction in your daily life. We invite you to become a part of an exciting new initiative called the Mindful University Project. This University-wide collaboration of faculty, staff, and students focuses on ways to integrate the practice of mindfulness and meditation into our campus community. Be sure to check out our entire line-up of programs and events! The De-Stress Fest is an opportunity to engage in a variety of fun, stress-relieving activities during midterms. 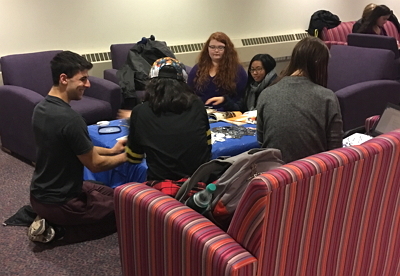 Two events, held in Havens Lounge in Wilson Commons, are held each academic year. Enjoy soothing music, calming tea, and more. Come pet the puppies! 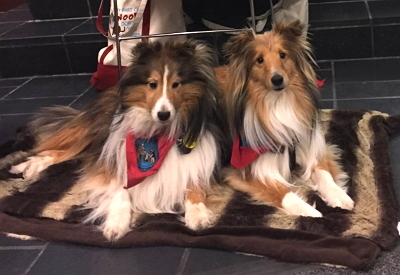 Paws for Stress Relief brings therapy dogs to campus for students to spend some time with. This monthly program occurs on the fourth Monday in the Goergen Athletic Center, 6–7:30 p.m. The Health Promotion Office also provides educational information, fun activities, and stress-relief giveaways such as lavender sachets or stress balls.